Need help picking her perfect gift? Take our Quiz! So you need to buy a gift for an important woman in your life, but what can you get her, what will she like and how do you pick from over 3,500 gifts (and that’s only on The Gift Experience!)? Want a little more information on her perfect gift? 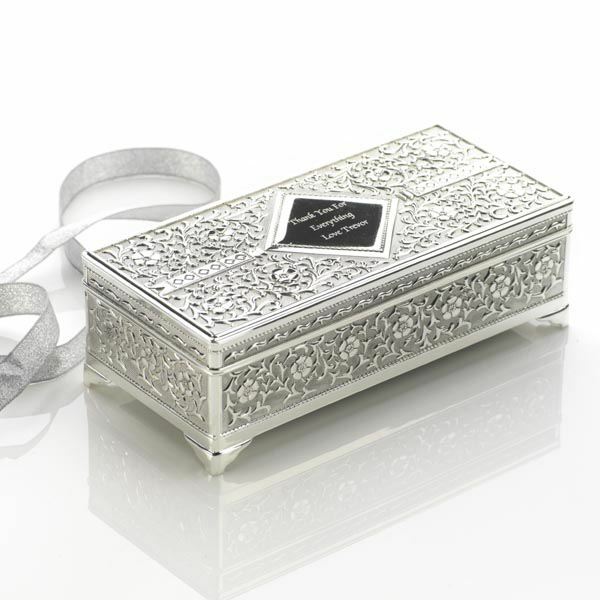 Watch her eyes light up when she sees this beautiful Antique Silver Plated Jewellery Box.The ornate design is beautifully crafted in sterling silver plate with a polished diamond-shaped area on the lid, ready to be engraved with your own special message. Inside, the box is fully lined with stunning black velvet and has a jewellery tray and ring section. A gorgeous gift that will delight all ages and take pride of place on the dressing table. This beautiful bracelet is pefect for any lady who loves a little indulgence and something pretty to the eye. 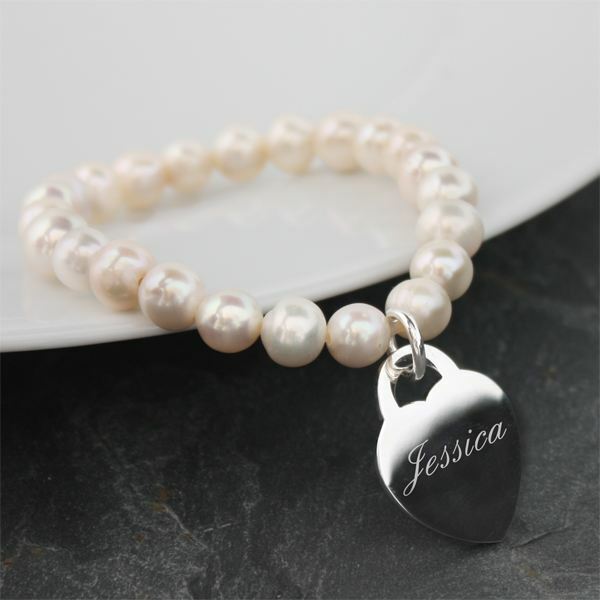 The bracelet is made from Fresh Water Pearls and has a heart pendant which is engraved with a name or short message of your choice to make this gift really personal. This gift is perfect for a woman with a desire for excitement and adventure! This gift is a great way to satisfy her need for speed. 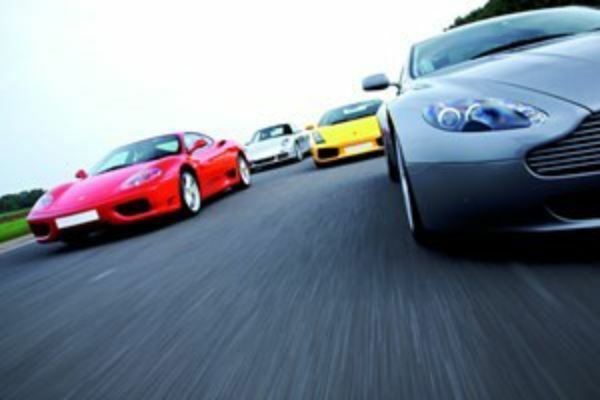 This experience will give her the chance to take control of two supercars of her choice, with options including a Ferrari, Lamborghini, Aston Martin and many more. 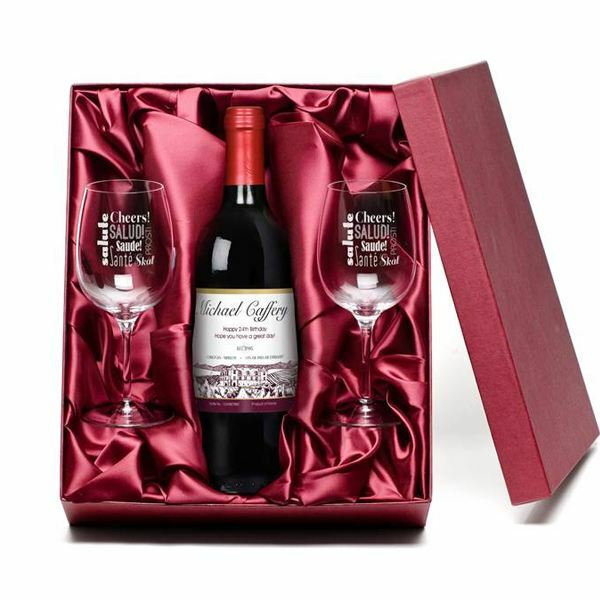 This luxury gift is perfect for any wine lover and the glasses help to give this gift a sentimental touch that she is sure to love even after the wine has been drunk! The wine is a smooth well rounded Merlot, showing rich plum and damson flavours and a lovely silky finish. Great with steaks, spicy dishes and mature cheeses. 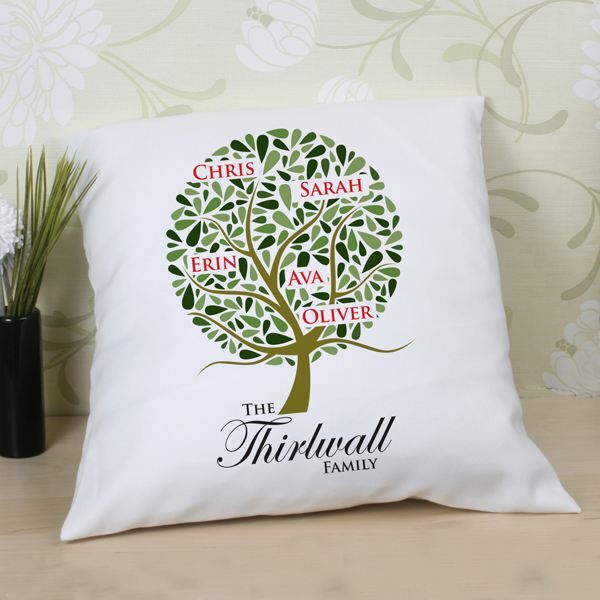 The cushion is printed with our Family Tree design and personalised with the family surname and members first names as well. It's the perfect gift idea for almost any occasion and will have that sentimental appeal that she is sure to love. Do you agree with the results of our quiz or do you think that we were way off the mark? - Let us know on our Facebook page!